These services and frameworks are already beginning their journey over to the platform agnostic side. If I’m correct, we’ll a few of these technologies in .net core 3. .NET Core 3.0 is supposed to have WPF and WinForms support (https://blogs.msdn.microsoft.com/dotnet/2018/05/07/net-core-3-and-support-for-windows-desktop-applications/) so we won’t be losing those. They announced announced WPF for .net Core 3.0 coming next year so they’re not getting rid of the whole stack. In fact this will be the first windows only addition to Core. They probably realized how cumbersome it becomes to have backwards compatibility when you’re entire runtime has to support code written on VS 2010, instead of just bundling the libraries with the application (which is how the .Net Core version will work). I’m not sure how much to trust your source considering your statements about Winforms and WPF. Dotnet Core 3.0 is supposed to support them just fine. It won’t be cross platform due to the deep Windows dependencies, but they aren’t going to abandon all UI kits. That said, it makes the transition far easier for Microsoft. This article also comes immediately after Microsoft posted that they have a number of product lines on framework with zero plans to migrate them to anything else and will continue to develop framework. Perhaps your sources correct and you simply hadn’t heard about some of the Winforms and WPF plans, but I imagine sunsetting the runtime will take more than a decade. I believe Microsoft will kill the NET framework, but not in your statement that this will mean no more WPF or Windows Forms. This is because NET Core 3.0 will in fact support WPF and Windows Forms. It’s even more madness to not give your customers and enterprise customers an upgrade path, something that Microsoft has insisted on since forever for almost all of their products. 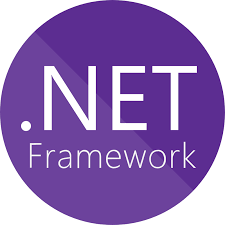 Even if that means covering all of this by supporting it in NET Core first, and then removing the NET Framework, there will always be an upgrade path, and the point of the article is not really that interesting in my opinion, because no one gets hurt in that process.